And here we thought the opening of Thor: The Dark World would be this week’s most significant Marvel moment. Instead, the studio’s announcement that it plans to partner with Netflix on four original series stole a little of Thor’s thunder (pun intended), and raised a number of interesting questions regarding the future of Marvel content. Here are five hottest issues pertaining to the Netflix announcement that we want answered … and soon! 1. How will these shows be released? This is a significant piece of the puzzle moving forward, as I think this will dictate the production process on the Marvel/Netflix programs. In the past, Netflix has made headlines by content-dumping programs like House of Cards or Arrested Development. 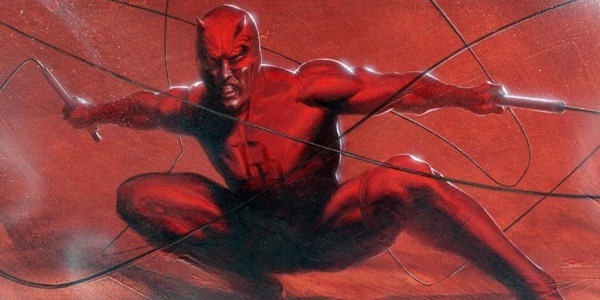 Does this mean that the 13-episode “season” of Daredevil -- who reportedly will be up first – will be released in one chunk? Is the program going to follow one long arc? Or like ABC’s Agents of S.H.I.E.L.D., will these be episodic television programs – a la Breaking Bad -- that will lead to appointment television … and a departure from Netflix’s normal model? 2. Who will star? Who will direct? OK, that’s two questions, but it stems from the first point, and they go together. If Marvel allows Netflix to unleash a full 13 episodes of a new program at once, that means the cast and production team only has to focus its schedule on a limited window for filming. It allows for additional time for post-production (while the cast moves on to other projects). And a schedule like this, I believe, would allow Marvel to lure higher-profile actors and directors – like Cards did for Kevin Spacey, Robin Wright and director David Fincher – instead of the episodic TV approach that ABC is taking with S.H.I.E.L.D.. I can see movie actors committing to the roles of Matt Murdoch, Iron Fist or Luke Cage if they can film for “X” amount of days, then move on to another film project. If they just sign up for a lengthy schedule, I’m not sure who will commit (and how that will affect the product). 3. 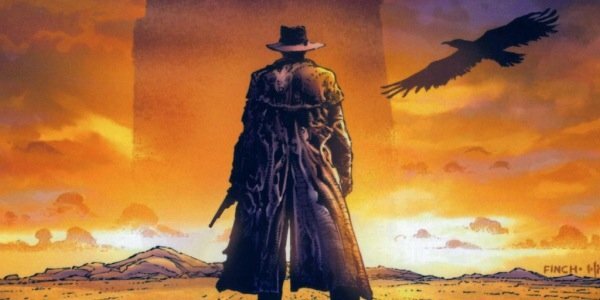 Which Marvel characters can cameo and/or crossover? The four heroes mentioned in the Netflix deal all have one thing in common: They aren’t big enough to carry their own feature film. 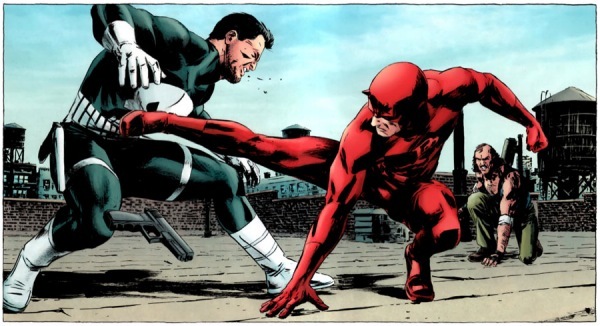 Yes, Daredevil tried. How did that turn out for him? The character could thrive in a smaller-screen serial, and a Daredevil Netflix program could pull in popular marvel characters like The Punisher (or, dare I say, Spider-Man). 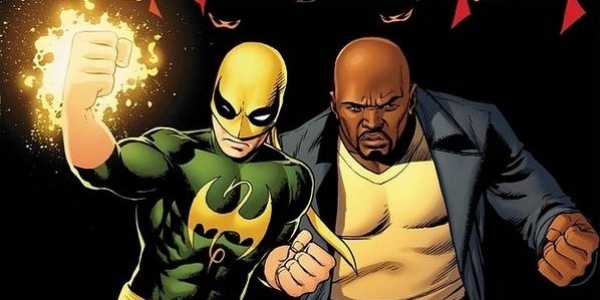 The Luke Cage and Iron Fist characters should provide plenty of opportunities for story intersection, as the heroes fought side by side in Marvel’s comics. Also, if Marvel plans to set these stories in the Hell’s Kitchen section of Manhattan, you can bet on The Kingpin playing a major role as a villain in almost all of the storylines. 4. Will other studios follow this model? 5. 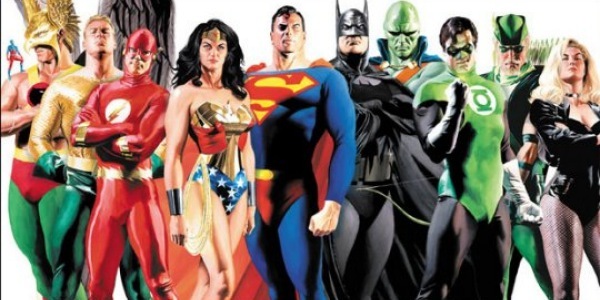 Will DC ever catch up to its main competition? Marvel appears to be light years ahead of DC. Someone quoted a stat the other day, that there will be five movies based on Marvel superheroes in theaters before Zack Snyder delivers Batman vs. Superman. That’s market dominance. And while DC floats rumors about possible cameos in their one tentpole, Marvel conquers digital platforms and fills our homes with the promise of content. If this were a prizefight, today, I would have thrown in the towel to try and protect DC from taking any more of a public pulverizing.